At OXPP, we print & convert tags for bottle/cups & other items. They are pritned in single/multicolors with custom designs. Volume is nto a constrain. 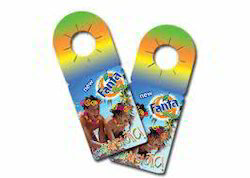 Fully Custumizable And Printable Tag For Your Brand Logo, Name, Color Nad Any Design With Fully Feature Customizations. Printed Tag is designed and developed in accordance with national market trend and keeping in mind the precise demands of our clients. Spoorthi Labeling Solutions Pvt. Ltd. 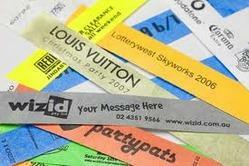 Matching up with the requirements of our clients, we are involved in offering Tyvek Paper Tag.